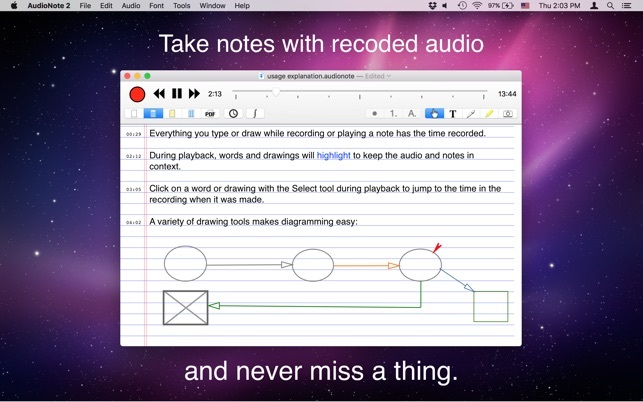 Take notes linked to recorded audio with the revolutionary AudioNote! 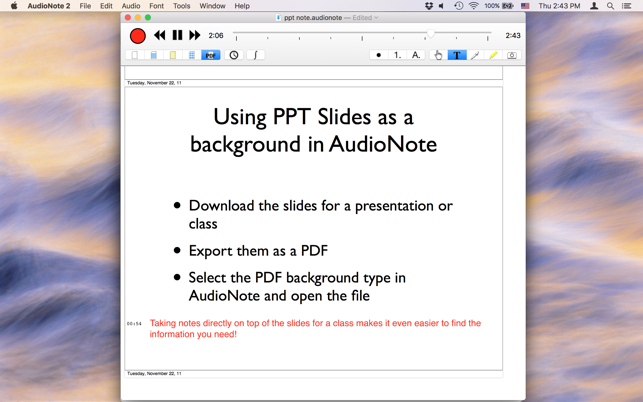 AudioNote links the notes you take to the audio recorded when you take them. 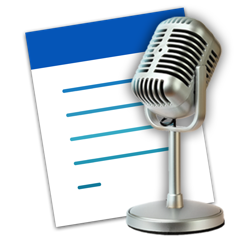 The result is a linked index of your recording that quickly provides invaluable audio context for your notes. • Create folders to organize your files by class, project, client, etc. Avoid confusion and embarrassing, costly mistakes. 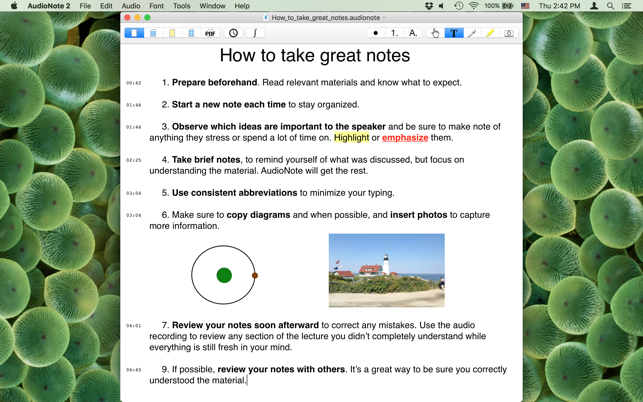 With the instant access and added clarity of AudioNote, you will take more effective notes, save time and ultimately achieve better results. Download AudioNote today. I started using this product from the first version, which is about 7 years. As a school administrator, this app has been a life-saver when conducting classroom observations. 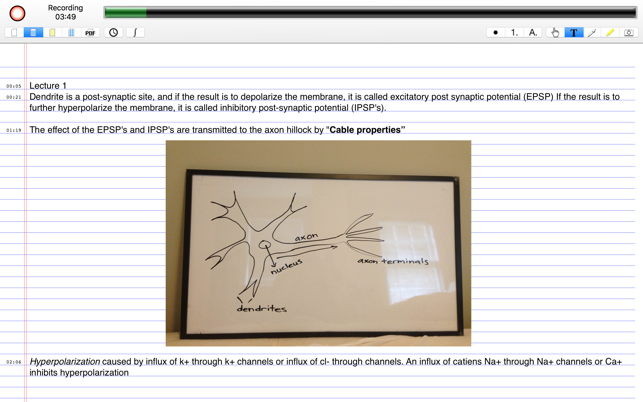 Features such as a the time-stamp; ability to post pictures; recording; diagramming, etc. makes the observation come alive. The app allows teachers to focus on their work with mastering their craft as well as allows me to make the observations be authentic in nature. 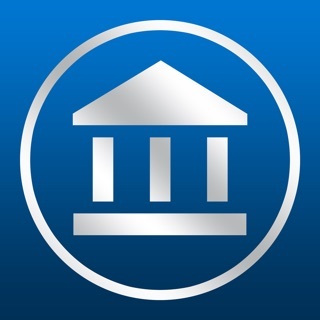 I use the app on my MAC, iPAD, and iphone. The transference of information across platforms makes it easy to access to a note at anytime. 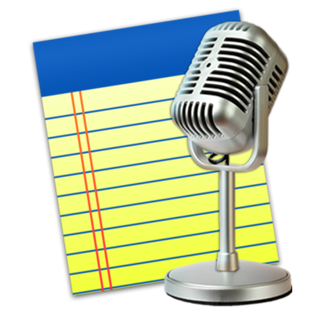 I use it frequently as an attorney who needs to listen to recordings and have a cheat sheet of getting to the important moments. This app helps me do it easily. I love this App, I use it all the time to take notes and to document important meetings. I wish I had this a long time ago. The best App ever. It's worth it.